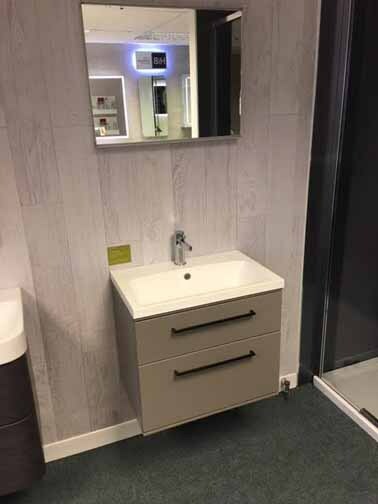 Unit 5, The Ember Centre, Lyon Road, Hersham, Surrey, KT12 3PU. Hours of business: Monday to Friday 7.30am to 5pm. Saturdays 8.30 to 12 midday. 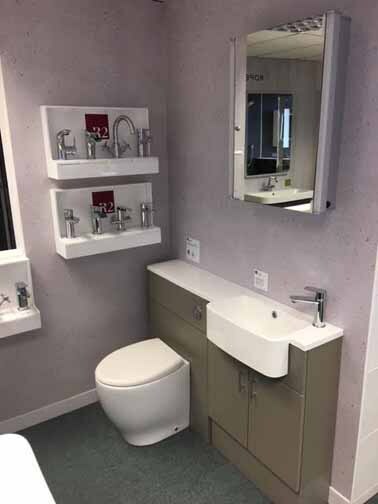 Virtual Tour of our premises - please use the buttons below. 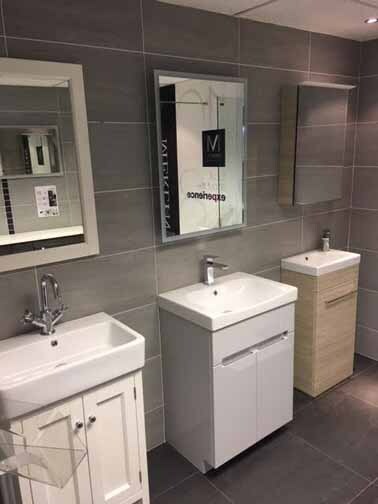 Above are some images of our recently installed examples of Roper Rhodes fitted bathroom furniture. 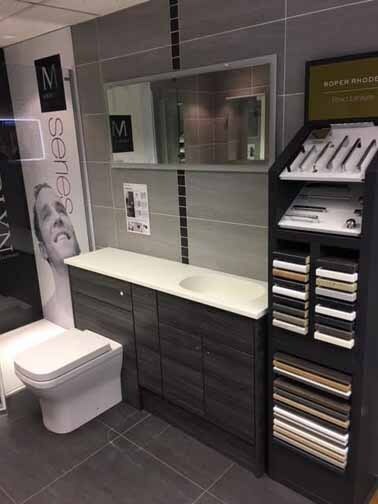 Why not drop in and have a look around at some of our displays to get a better feeling of what the products look like fitted. 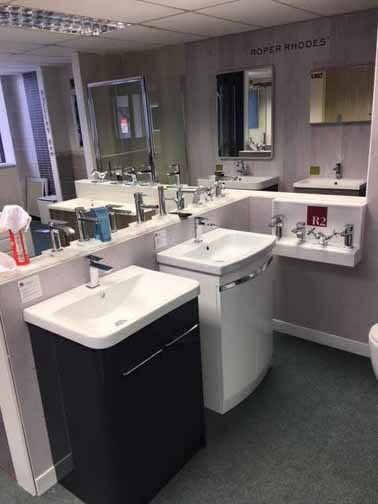 The above units are part of our recently completed showroom refurbishment. 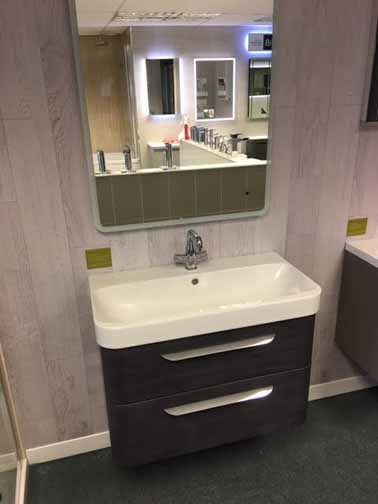 We are also now displaying ranges of Utopia bathroom furniture (click the button below). Visit us at Hersham - meet the staff! For more information on any of our products please contact our team on site either on the number above or via our form below - thank you.